This article explores the thee most critical tests within the Natural Slate Standard, “BS EN 12326:2014 Slate and stone for discontinuous roofing and external cladding. Specifications for slate and carbonate slate”. BS EN 12326 replaced the previous natural slate standard, BS 680. Excessive water absorption will result in natural slate being vulnerable to frost damage, increased weathering and cracking. If the slate absorbs 0.6% or less of its mass in water, it is classified as W1 (≤ 0,6%), the highest grade, and needs no further testing. All SIGA slates have been tested to W1 (≤ 0,6%) standard. T1: No apparent change or some surface rust or other changes that neither affect the structure, nor form runs of discolouration. T2: Oxidation or appearance changes of the metallic inclusions with runs of discolouration but without structural changes. 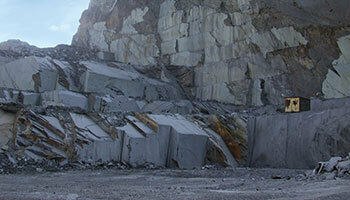 SIGA Natural Slate does not supply T2 slates. T3: Oxidation or appearance changes of metallic minerals that penetrate the slate and risk forming holes. SIGA Natural Slate does not supply T3 slates. 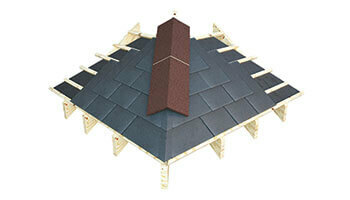 All SIGA slates have been independently tested to T1 standard. S3 (slates must be at least 8mm). 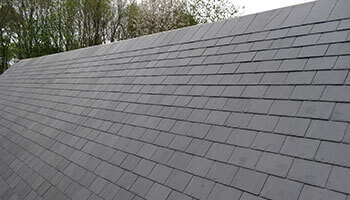 Slates containing more than 20% carbonate content are not suitable for roofing or external cladding. All SIGA slates have been independently tested to S1 standard. All SIGA Slates are tested to W1, T1, S1 standard. Find the best slate for your project here.